We offer a full range of property management services tailored to you as an investor, homeowner, or landlord. We have an extensive porfolio with over 300 single family homes, townhouses, condos, and apartments in the Southeast Columbia area. The true fact is that anyone can manage a property, if they are willing to deal with all the pitfalls that come with the business and law mandates. However, a competent property manager can add significant value to you and your investment. Real Estate investors have figured out a good management company is an integral part of safeguarding their investment. Here are a few ways that a good property manager can work for you. Expanded marketing from a professional in the business (resulting in shorter vacancy rates). Tenant screening (Credit checks, employment verification, and background checks). Quarterly or Annually inspections (Physically walking thru and ensuing the tenants are maintaining your property). Rent collection and eviction filing if necessary. How to finding the right property manager for your property is a topic to be discussed later. Empire improves its clients’ financial results through careful expense control and planning. Both short and long term considerations are taken into account when preparing each management plan. Monthly and annual reporting keep clients well informed about the current & planned status of the facility.To ensure a timely response to their emergency needs, all occupants and clients have access to a member of our staff 24 hours a day, 7 days a week. Empire improves its clients’ financial results through careful expense control and planning. Both short and long term considerations are taken into account when preparing each management plan. Monthly and annual reporting keep clients well informed about the current & planned status of the facility. To ensure a timely response to their emergency needs, all occupants and clients have access to a member of our staff 24 hours a day, 7 days a week. Today we’re talking about why you might hire us at Empire Property Management Group to manage your rental property. It’s important that you know our credentials. We are licensed in South Carolina and professional members of the National Association of Residential Property Managers (NARPM). We have also been accredited by the Better Business Bureau. Our motto here at Empire is “Your House is Our Business.” We don’t get paid unless your house is rented, so we guarantee your house gets rented within 90 days of going on the market. One of the things that make us different is that every owner has direct access to the owners of the company. We are a husband and wife team who answers all calls. You can reach us 24 hours a day. We love what we do and we treat your house like it’s our own. You don’t have to worry about receptionists taking messages and not getting through. When you call us, we pick up the phone or we call you back – owner to owner. That’s how we do business. 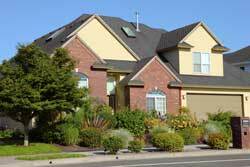 Part of taking care of your property is inspecting it regularly. All of the homes we manage have inspection options. If you’d like us to inspect your home quarterly, annually or semi-annually, we can do it. One size does not fit all and we don’t want you to feel as if we’re managing that way. We put together a customized plan for all our owners. This includes a detailed market analysis of rentals in the area. This helps us to be sure you maximize the return on your property investment. For some people, that’s not a big deal but for others it is. We want your investment to be the greatest experience possible. We get you the best rate for your house when it’s on the market at the right time in the right location. Choose Empire PMGFinally, we take advantage of technology by providing online owner and tenant portals. You simply have to sign in and you can see all your documents and information. This is available 24 hours a day. There’s no need to call anyone. We believe in total transparency in our company. This system allows you to see bills, contracts and anything pertaining to your property. If you have any questions about what we do, please contact us at Empire Property Management Group, and we’d be happy to tell you more. Where in Columbia can you have an affordable home with a two-car garage, a spacious green lawn, and great schools–ten minutes from downtown? Southeast Columbia is the ideal location. Between here and the city center lie the shopping and dining corridors of Rosewood Drive and Devine Street. Interstate 77 runs nearby, making it an easy jaunt to the Northeast, the airport, or anywhere else in town. Living in Southeast Columbia means access to more. More exemplary schools, whether you choose Richland District One, Heathwood Hall or Hammond Academy. More green spaces. Woodlands Park is a peaceful, forested oasis. Southeast Park is a tennis player’s dream. Caughman Road Park offers organized sports for the whole family. If you choose to make your home in Southeast Columbia, there are so many homes to choose from: Knollwood, King’s Grant, the Hampton communities. Traditional or modern, established or new, it’s up to you. Southeast Columbia brings it all home.